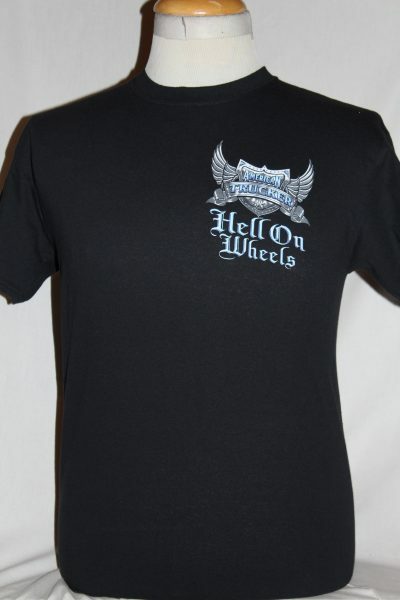 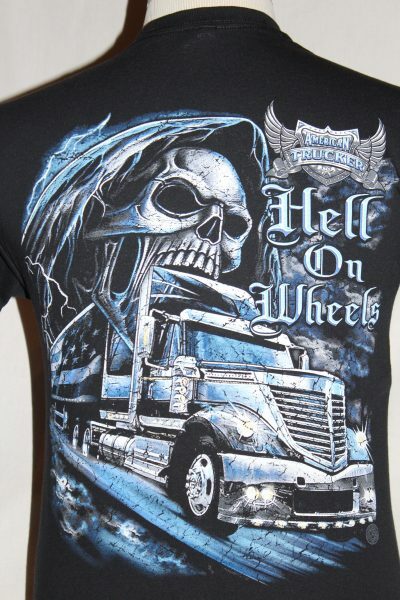 The Hell On Wheels Trucker T-Shirt is a two sided print in black. 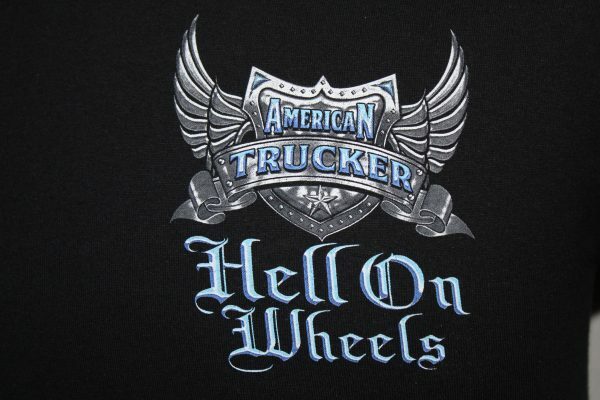 Front Design: Left chest image of trucker shield, wings, and text. 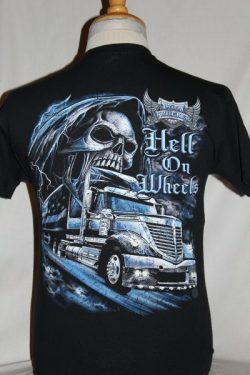 Back Design: Rolling 18 wheeler, skull, and text.